Delays are a normal part of everyday life. With a new kitchen project, there may be delays with suppliers, construction, finances or you may just need more time to figure out where to store all your furniture! When Celia and David planned their home extension, including a brand-new kitchen, they expected their journey to begin in August and end before Christmas. Similarly, when I came to write my blog, I thought the timeline would match Celia and David’s plans for their kitchen extension. The reality of delays meant that both kitchen and blog were completed after the “expected” time. That, however, is not necessarily a bad thing. When I asked Celia about delays, she said, “Something will crop up and there is always the potential for something to go wrong”. Celia understood that to get the kitchen she truly wants she needed to accept that it would take time. In the beginning I was apprehensive, never having owned a kitchen of my own or having written a kitchen blog before, my opinion on delays was that they would cause frustration, anger and ruin the excitement of having a brand-new kitchen. 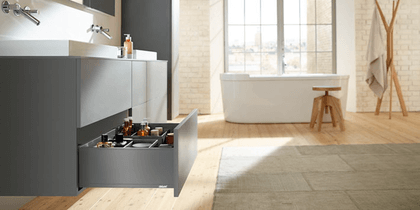 It is easy to think of problems or challenges as the end of the world, especially when you are new to home build projects and don’t realise how emotional the journey of having a new kitchen fitted can be. Despite the delays, Celia has always been incredibly positive and her desire for her new kitchen hasn’t been tarnished. She had a realistic expectation of project work which came from years of experience. We discovered the common delays others were likely to encounter along the way and some of the positive ways coping with them. One of the most common delays comes at the very beginning of our kitchen journey. The amount of decisions a person needs to make when designing their kitchen can be overwhelming. The fear of settling on a permanent decision which we might later regret leads us to our worst enemy; indecision. What seems like a simple idea is a massive undertaking. One of the reasons why Celia’s kitchen wasn’t fitted when they had originally planned was because it was difficult to settle on what they wanted. They went back to the drawing board on a lot of decisions, investigated quotes and discussed compromises. After all, a kitchen is not just for one person! Celia’s approach was to make a list of what she and David needed in their kitchen and then what they wanted from their kitchen. Celia looked at how the space was going to be used. She discussed her ideas with others to help her settle on decisions. She took Blum’s test drive for a spin to see how her ideas would look in the third dimension. Once she had her list, she could approach retailers for quotes and ask for advice. Getting quotes helped her decide whether to have a handless kitchen or a kitchen with handles as the designs were quite different when it came to affordability. Celia advised, “When you design a kitchen or have an extension you are never going to be able to think of everything even if you try”. It is important to settle on decisions to avoid delaying your kitchen but that doesn’t mean you can’t take your time to get all the facts. There are some delays which are outside of our control. As hard as it is, we need to learn to let these ones go. For example, the snow came down hard in December and delayed the building work on Celia’s extension. As a result, the newly built roof wasn’t watertight, which could have further delayed the drying of the concrete floor being put down at the same time. Luckily, the builders rushed in to make the roof watertight and get the flooring down, all a week before Christmas! When something is outside of our control we can feel helpless which is in turn frustrating. Sometimes, we need to learn to let these go or we can end up fixating on the negatives and ignoring what can be done in the meantime. We do have control over decision making, communicating with suppliers and organising the house to prepare for the builders. There are always other areas of the project to focus on; for example, you may need to wait for the roof to be made watertight, but it doesn’t mean you can’t begin looking at lighting, decorations or where to source your appliances. It’s important to go with the flow and don’t let one delay slow the rest of the project. When it came to delays caused by other people Celia advised that you need to raise issues or uncertainties with the parties involved. These delays can be tough as the building work is out of the control of the person who has commissioned it. You put your trust in other people hitting their deadlines; which can then become infuriating when they don’t. Don’t be afraid to ask suppliers and fitters questions and push for results! By keeping up communication and working with people you can talk to easily from the beginning, you will understand why delays may have occurred or help to mitigate them. This could help you resolve them far quicker during your kitchen journey. To lessen the emotional blow of delays it is important to prepare before your journey and understand that the kitchen is going to be a long-term investment. Set your expectations from the onset and don’t be afraid to wait! Kathryn is a key member of the Blum UK family and uses her skills of creative writing for the benefit of a number of personal blogs. She has a passion for creativity and all things weird and wonderful.